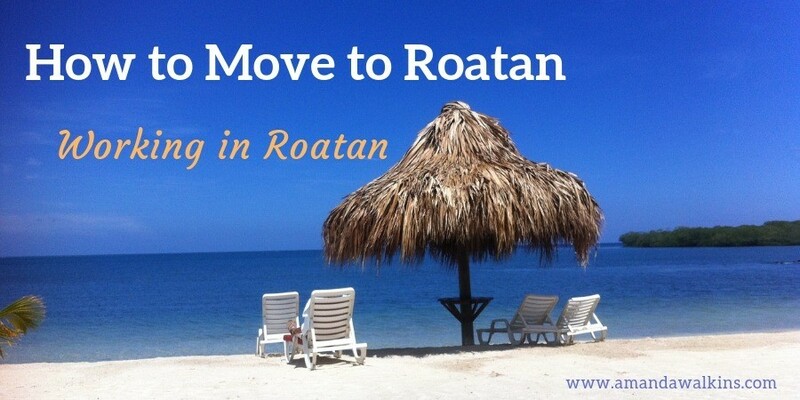 In case you missed it, Part One in this series on how to move to Roatan was Finding Housing. I’m doing this series in an effort to answer a few of the more general types of questions I get via email, Facebook, and comments. Hope it helps! Working in Roatan can take on a few different meanings. Many folks retire and then move here – it’s an ideal location for retirees and the community here makes for an easy transition. There’s another group of semi-retired folks, they still work here but only part-time in something they enjoy. Then there are the lifers, they move here permanently and open businesses or at least work full-time. Finally, you have the transients, the ones who come temporarily and primarily work in the tourism industry. There are jobs in every field, but here’s a breakdown on what I see are the primary options for expats looking to work in Roatan. This is anything and everything related to tourism, especially water sports. Roatan is well-known for its incredible reef. Often highlighted as an exceptional snorkeling destination as well as scuba diving, Roatan revolves around tourism. This encompasses everything from hotels, private home rentals, and resorts, to bars, restaurants, and gift shops. Add in tour companies organizing your activities, car and scooter rentals to take island tours, and boat tours to other islands and you’ve covered most of the Roatan bases. If you want to work outdoors, look into becoming a diving professional (Divemaster or Instructor), or if you’re not an underwater person take a look at the above-water options including parasailing, paddleboarding, kitesurfing, ziplining, dune buggies, and whatever new activity you might want to introduce. As tourism continues to grow in Roatan, the need for more diverse activities will increase as well. Think about what’s missing and see if you can fill a gap. For example, during rainy season the options are fairly limited for tourists. No indoor shopping, no cinemas, and basically no indoor activities exist on the island. When the weather is bad we pretty much just shut down all over. Roatan has been a growing market for quite some time. Baby boomers keep heading our way, purchasing vacation homes and retirement havens. Short- and long-term renters visit Roatan on a regular basis, creating a constantly evolving apartment- and house-rental market. If you work in real estate back home, trust you can get involved in Roatan. Whether managing private rental homes (like what we did for a few months in 2013), actually selling real estate, or managing a hotel or resort, the options are plentiful. Roatan is the largest of the Bay Islands of Honduras, which is a developing nation in Central America. While Roatan has the incredible benefit of being a stunning Caribbean island drawing income from tourists on a regular basis, the region at whole continues to suffer from a prolonged history of struggling economies and infrastructure. Whatever your personal interest, I guarantee you can find a need in Roatan to fill: education, medicine, professional development, childcare, the list goes on. For volunteer positions, check out the SOL Foundation if you want to coach youth baseball or check out Clinica Esperanza if you want to do a rotation as a nurse, doctor, dentist, etc. Personally, I see a huge gap in professional development options on-island. With a large influx of international residents and tourists, expectations are higher for local workers, often more so than can be met through local education. Schooling is only compulsory through sixth grade in Honduras. After that, tuition fees often prevent kids from continuing their education. That leaves a huge gap in computer skills, higher-level critical thinking skills, and business management skills. Without professional development training and resources, locals are at a disadvantage against foreign workers for many upper-level positions in most sectors. Whatever your professional experience back home, I’m sure you have something to offer locals in Roatan. Maybe you could start a privately-funded business school or low-cost computer training classes. Use your current professional strengths and share them with locals to create a more sustainable future for Roatan as a whole. Coaching youth sports is always rewarding, and the SOL Foundation has certainly excelled in that area! I’ll cover legal issues in another post later in this series (that post is now here! ), including residency and work permits (to an extent – obviously if you’ve read my blog you know I’m not an attorney so please don’t take my words as the only legal advice you need). Also, on a more general note for work options, you can refer to my Huffington Post article on jobs you can do anywhere in the world. All of those apply to Roatan in a broader sense.